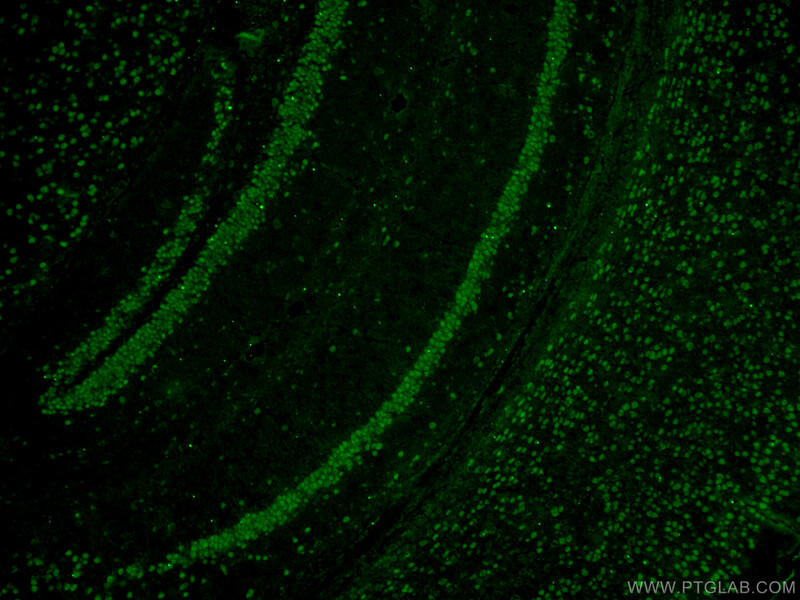 IP Result of anti-A2BP1 (IP:22647-1-AP, 4ug; Detection:22647-1-AP 1:500) with mouse brain tissue lysate 4000ug. 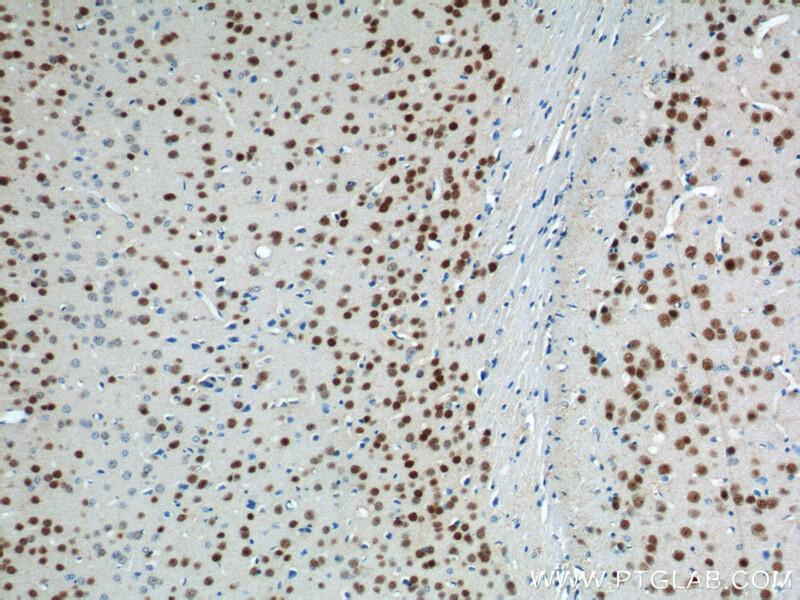 Immunohistochemistry of paraffin-embedded mouse brain tissue slide using 22647-1-AP( A2BP1 Antibody) at dilution of 1:200 (under 10x lens). A2BP1, also named as FOX1 and HRNBP1, contains one RRM (RNA recognition motif) domain. A2BP1 recognizes a (U)GCAUG stretch in regulated exons or in flanking introns. The protein binds to the C-terminus of ataxin-2 and may contribute to the restricted pathology of spinocerebellar ataxia type 2 (SCA2). 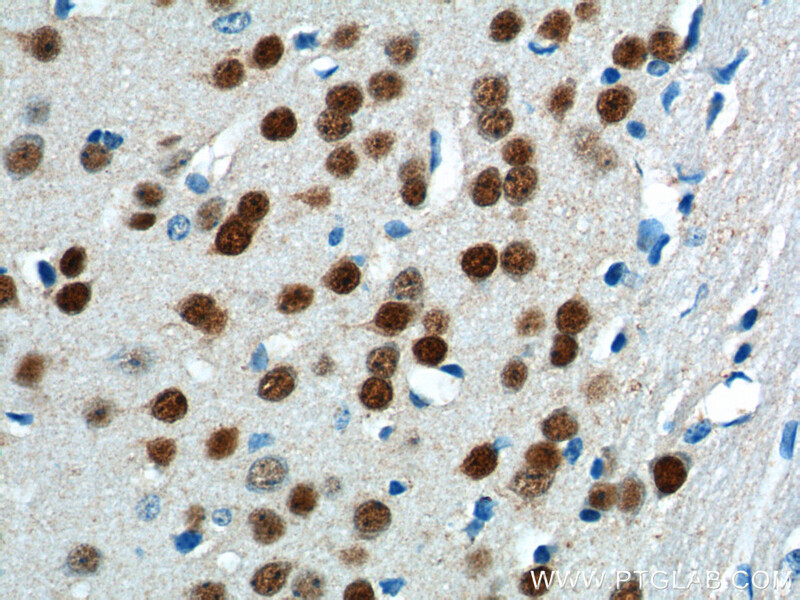 Ataxin-2 is the product of the SCA2 gene which causes familial neurodegenerative diseases. A2BP1 and ataxin-2 are both localized in the trans-Golgi network. 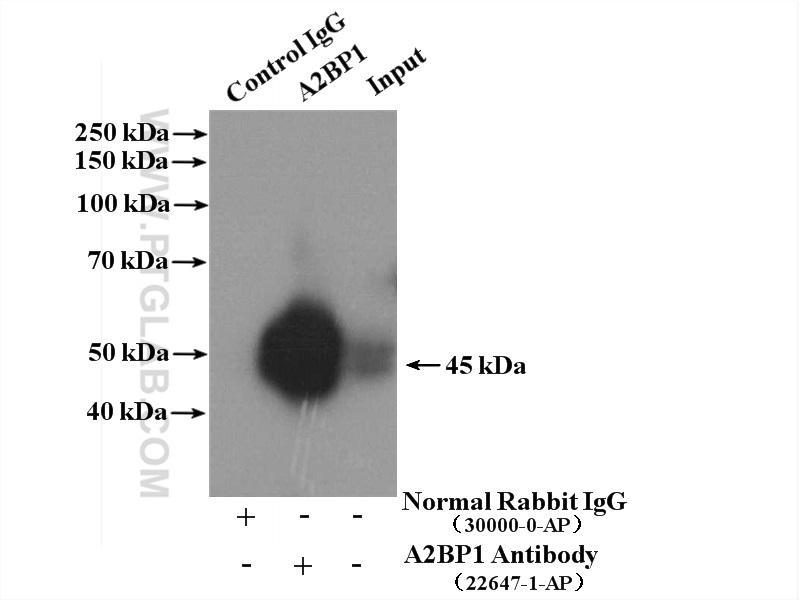 This is a rabbit polyclonal antibody raised against the N terminus of human A2BP1. 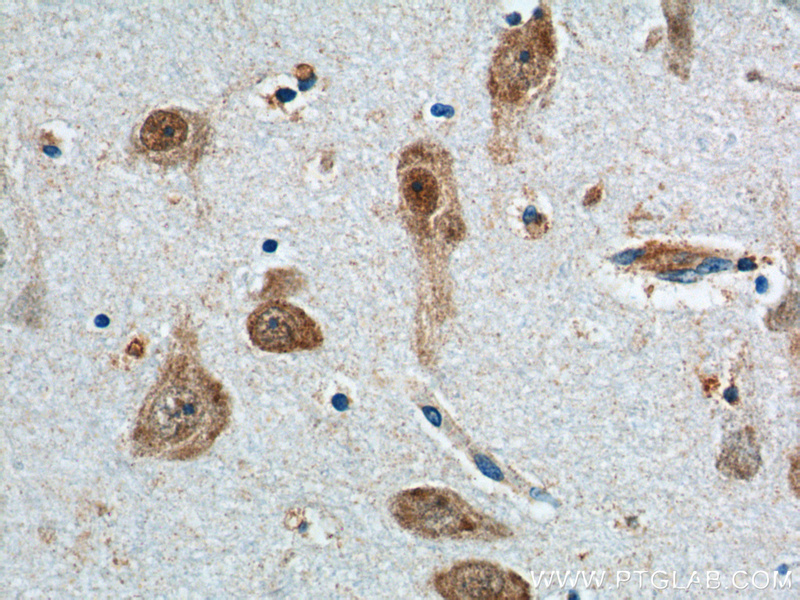 Immunohistochemistry of paraffin-embedded human brain tissue slide using 22647-1-AP( A2BP1 Antibody) at dilution of 1:200 (under 10x lens). 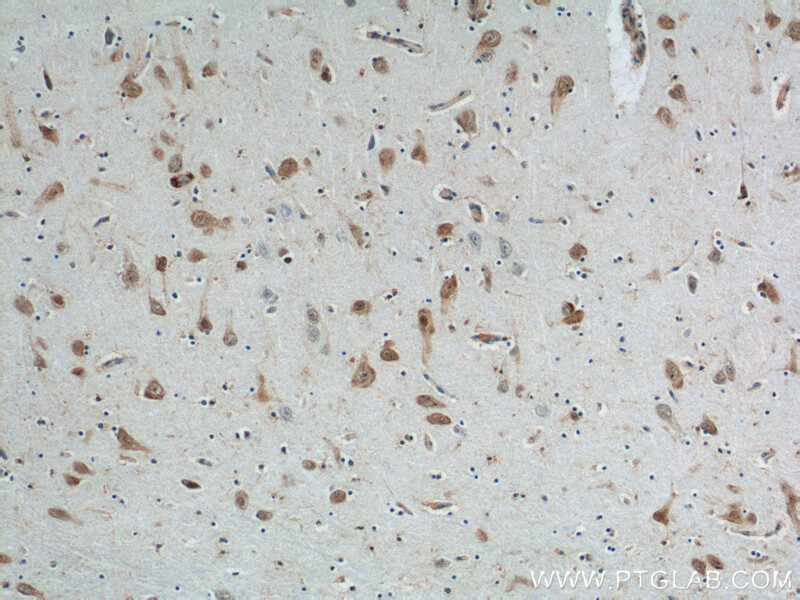 Immunohistochemistry of paraffin-embedded human brain tissue slide using 22647-1-AP( A2BP1 Antibody) at dilution of 1:200 (under 40x lens). 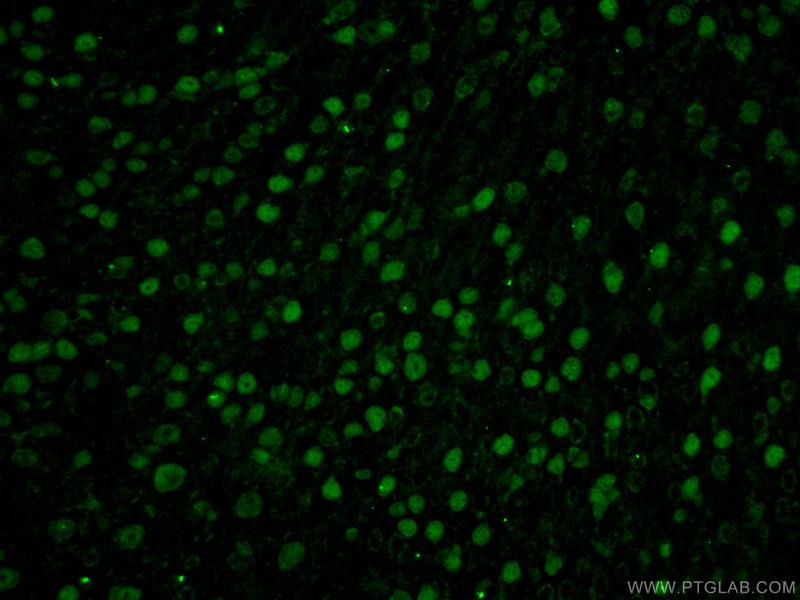 Immunohistochemistry of paraffin-embedded mouse brain tissue slide using 22647-1-AP( A2BP1 Antibody) at dilution of 1:200 (under 40x lens).